Announcing Star Wars Reads Day 2015! 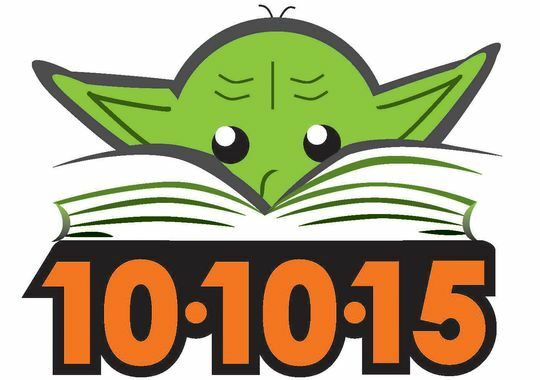 The day book lovers and Star Wars geeks all over the galaxy look forward to each year is returning — Star Wars Reads Day will take place this year on October 10! Two new logos have been designed for the event as well — Yoda, as seen above, and BB-8, the droid we’re all anxious to meet when Star Wars: The Force Awakens premieres in December (see below). There won’t be any shortage of reading material, thanks to the joint Disney/Lucasfilm publishing event “The Journey to Star Wars: The Force Awakens,” making Star Wars Reads Day even more exciting! Stay up to date with all the latest developments on the official Star Wars Reads Facebook page: Facebook.com/StarWarsReads. All images belong to Lucasfilm. Thank you to Disney.